I like the Women's Naples style. I would most like to win the Mens Authentic Original!! My husband would love a nice treat! I am a follower! What a fab giveaway!! i would love to win the womens ditsy floral pair! What style isn't to like? I love the Women's Authentic Original 2-Eye Boat Shoe. I would love the Liberty Ditsy Floral. I entered the Sperry contest on their site. I just bought my first fair of Sperry's - the angelfish style - and I love them! They're my favorite go-to shoes these days. I'd most like to win the woman's liberty print shoe. Cute!! I'm loving the new pink seersucker original boat shoe! I would most like to win the Liberty Ditsy Floral, so cute! Personally I love my classic tan montauks to death! But a favorite lately has been the metallic boat shoes- like the ones j.crew used to carry. Out of the three choices to win, I think the liberty print sperrys are to die for! What a sassy spin on two classics. I wanna shout, "pick me, pick me, pick me!" but instead I'll just say "I'm a follower!" And I'd love, love, love to win the liberty print shoes! 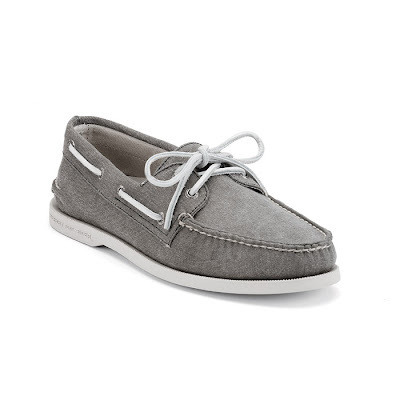 I just visited the Sperry site and love the womens"s boatshoes in the Bahama pattern. My favorite pair of the ones listed in the giveaway would be the Ditsy floral....so cute ! My favorite Sperrys are the Montauk slip ons for the moment! I have now entered the Sperry sweepstakes contest. I am already a loyal follower of your blog. Thanks for hosting this giveaway ! I LOVE the womens original in Yellow!! ANd I love the cloud logo! I would chose the Women's Cloud Logo Boat shoe if I won. I follow you blog and enjoy it very much. 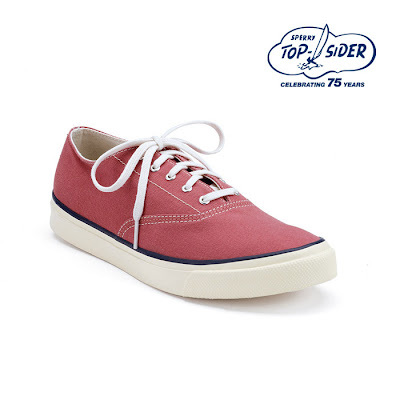 I love the Women's Montauk slipon! My fave of the three styles in the Canvas Boat shoe in Olive. I have always wanted the two-eyed boat shoes. I think I would definitely sport the yellow. I would most like to win the women's Cloud 2-eyed boat shoe. They are so darn cute. I entered the Sperry sweepstakes, and I would be more than ecstatic to win any of the prizes. OH BOY!!!!! Thanks for sharing that opportunity. My favorite style on the site is Women's Southport Wedge. I would like to win the Men's 75th Anniversary sneaker for my husband. I entered the Sperry sweepstakes! I like the womens Santa Rosa wedges in the blue stripes. So cute! I entered the Sperry give away...would love to have a new pair of Sperry's! Out of the three choices I like the men's anniversary pair...but for myself, not my husband! ooh, I would love to win the 75th anniversary original sperry's for my husband. I would love to winn the Women's Lakeside Slip-on. Thanks for the fab giveaway! I entered on the Sperry site. I entered the contest on the Sperry website. Has to be the Liberty print!! I'm a follower...what a fun giveaway! I entered Sperry's sweepstakes...week in Nantucket? How fab is that? entry #3 I entered sperry's contest on their site. I would love a new pair of the Women's Montauk Slip-on! Of the above styles I would want to win the Men's Authentic Original Canvas Boat Shoe! Sperry's make my heart go pitter-patter! I'd love a pair of authentic originals in berry patchwork size 6 1/2 please? My favorite is either the womens Bahama in the Pink Plaid/Lime combo or the Womens Bluefish in Linen/Pink Plaid. I would most love to win the Women's Cloud Logo Authentic Original 2-Eye Boat Shoe - Liberty Ditsy Floral. So cute! I also entered the Sperry sweepstakes! And last but not least, I am a follower of your RSS feed in my Google Reader! I would most like the metallic woven boat shoes! My absolute favorite style is the Women's Authentic Original 2-Eye Boat Shoe and I am loving the blue seersucker! So cute and so preppy. 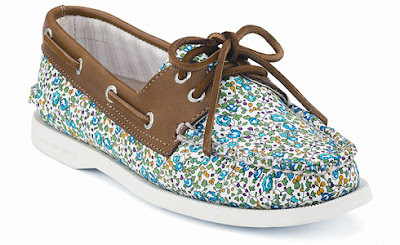 I would like to win the women's boat shoe in liberty ditsy floral. I love the St. Esprit shoe - not what you would expect from Sperry!! And I entered Sperry's contest! I want the Clouds! I think they are super dainty! my favorite style is the new seersucker print on the classic boat shoe! Of the styles above I would most like to win the women's classic pair in the ditsy floral! I entered into the sperry sweepstakes! um, what an AMAZING giveaway! i just love the Montauk gold slip on!! my husband could really use a new pair of sperry's. in our 8 years together, i've replaced them twice- and he would LOVE the canvas pair! i am clearly a follower! aaaaaaaaand, i entered the giveaway! we just bought C his first pair of Sperry's (at 9months old) and I just love them SO much!! You're never too young to start! I love the womens ditsy floral style. Love your blog...I am a follower! I have and love the women's bluefish 2 eye boat shoe!!! I would love to win the ditsy flower pair!! I entered the Sperry Sweepstakes. I like the Women's Southport Wedge. So very cute! I would most like to win Women's Cloud Logo Authentic Original 2-Eye Boat Shoe - Liberty Ditsy Floral. Sperry's are not really my husband's style, so if I win it would be a treat for me. I like the Women's Martinique brown python. We'd probably pick the Men's Authentic Original Canvas Boat Shoe - Olive. Entered Sperry's sweepstakes. Fingers crossed!! Even though it men's, I really like the 2nd choice. My feet are a size 11 and wide, so sometimes I have to buy mens shoes (tennis shoes). Even though they are mens I stil think they are kind of cute! Entered the giveaway! That would be an awesome grand prize to win! I like the woman’s Montauk slip-on style. I would like to win the womens cloud. I have entered Sperry’s Sweepstakes. It is time to replace the pair I have worn since 1969! I like the Women's Angelfish Slip-On Boat Shoe. I love the Women's Bluefish 2-Eye Boat Shoe in cheetah print ! I'd like to win Women's Cloud Logo Authentic Original 2-Eye Boat Shoe - Liberty Ditsy Floral!! huge fan of the boat shoe! i want it in all the different colors! thank you so much for the giveaway! i would absolutely love the Women's Cloud Logo Authentic Original 2-Eye Boat Shoe - Liberty Ditsy Floral!!! soooo cute!